A wonderful summer of sun, sea and…. singing! It all began on the Isle of Skye, where I was welcomed by the wonderful team at Innersound to their production of The Gondoliers. 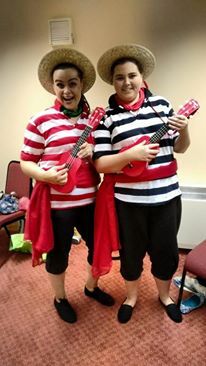 We arrived in time for our first rehearsal, when we walked through the WHOLE SHOW so that Charlotte (my fellow Gondolier) and I could get to grips with our blocking. Following a few individual principal dialogue calls, and some light choreography sessions, we ran the whole show again start to finish the next weekend. And before we could say ‘Cachucha’ we were in the dress rehearsal, and on with the run of 5 shows. With packed houses at every venue and lots of giggles on (and off!) stage, this was a show to be remembered! 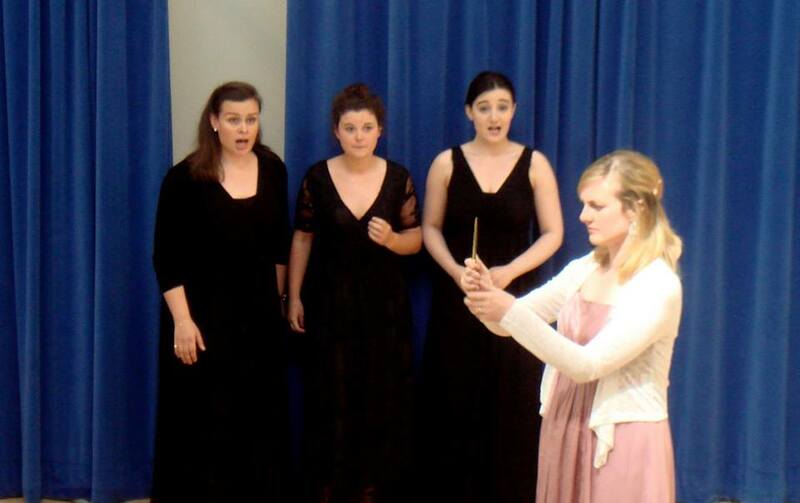 Next was the Oxenfoord International Summer School for singers and accompanists. A superb course where singers of various ages and stages all work together to support each other on their own individual singing paths. I have actually been going to this course since I was fifteen (!) and am now helping out with the administration/running of the course, as well as running killer warm up sessions (!). This year I also participated in the Opera Scenes and here is a cheeky snap of all three Spirit’s in action in an extract from Mozart’s Magic Flute. Next postTarney Magnificat CDs are done and ready to go!